It's February 11! Today is International Day of Women and Girls in Science! On 22 December 2015, it was implemented by UNESCO and UN-Women, with the aim to promote women and girls in science. 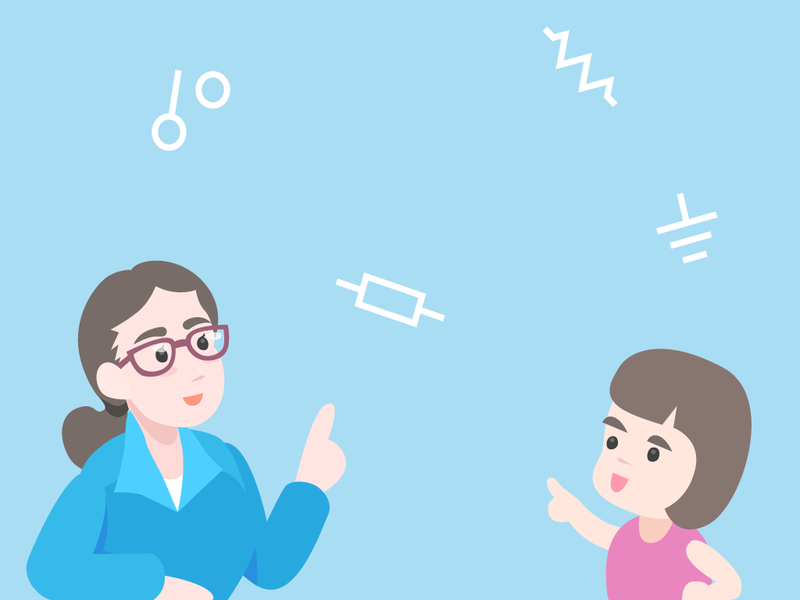 Developing computational thinking and programming skills, as well as cultivating enthusiasm in STEM subjects is immensely important in this day and age. However, according to the UN: "According to UNESCO data (2014 - 2016), only around 30 per cent of all female students select STEM-related fields in higher education. Globally, female students’ enrolment is particularly low in ICT (3 per cent), natural science, mathematics and statistics (5 per cent) and in engineering, manufacturing and construction (8 per cent)." 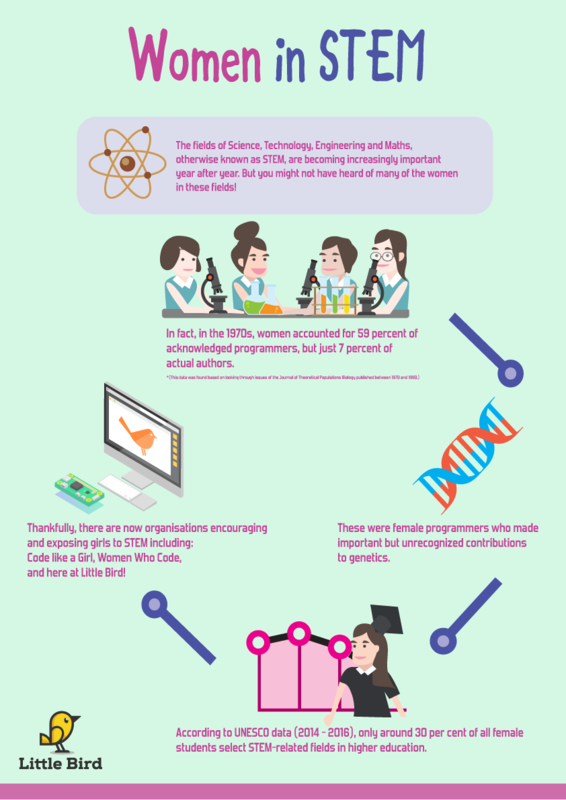 Women Who Code is an international non-profit organisation with the aim of closing the gender gap in technology. Check out some of their meet-ups! Learn new skills or brush up on current skills, play around in a Hackathon, or even work on interviewing skills. Code Like a Girl is a social enterprise providing girls and women with confidence, tools, knowledge and support to enter, and flourish in the world of coding. They have workshops catering to girls around Australia in VIC, NSW, SA and ACT. Here at Little Bird, we also hold workshops for tech enthusiasts of all ages and skill levels. Feel free to send us an email on what you'd like to see covered and your location!